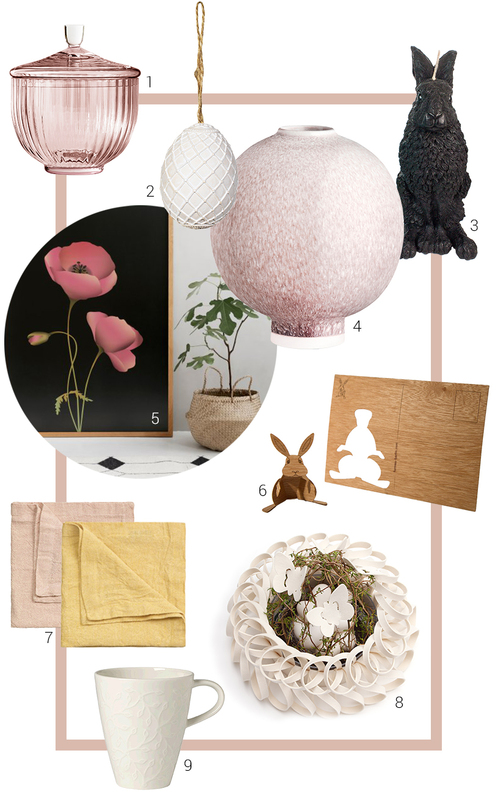 Ambiente Blog • New ideas and old favorites. Cute and smart spring trends. Wake up, spring has sprung! And what’s out there? At first glance, there are lots of old favourites – but hang on, don’t go back into hibernation just yet. A host of new ideas and unusual combinations are creating excitement and a breath of fresh air. Even the Easter bunny has his ears pinned back. We provide lots of examples. The black candle from Eye Candle Studio also creates a stylish highlight. With its numerous details, this pleasantly scented wax rabbit is reminiscent of the works of Albrecht Dürer, and at a proud height of 25 cm it is a guaranteed eye-catcher. 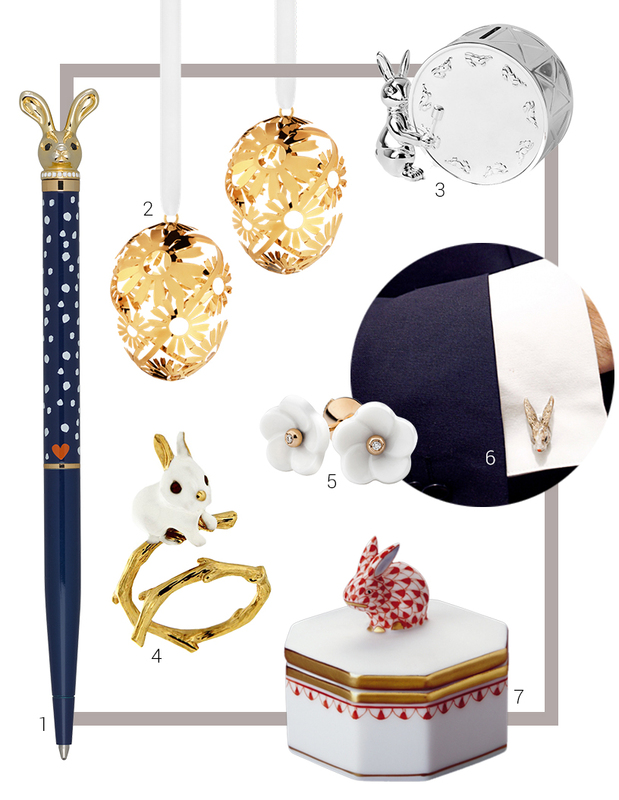 As a decorative object and motif, the rabbit has long been inextricably linked with Easter and continues to be a welcome four-legged harbinger of spring even after the holidays are over. And talking about Easter, why not send an Easter card instead of the annual Christmas mail? The cedarwood postcard from Formes Berlin is as original as it is timely. In addition to the unusual material, the small bunny is a clever feature that can simply be cut out and used as a decoration. 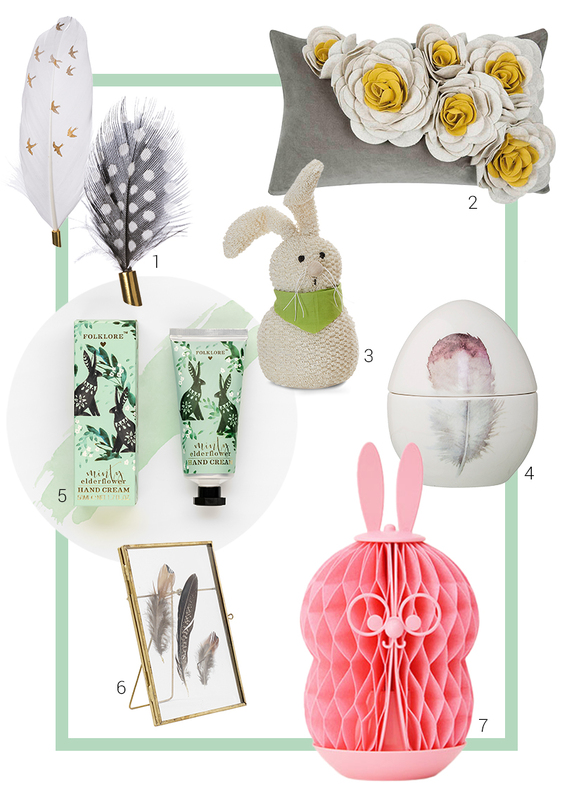 Our constant companion throughout the spring – the Easter bunny comes in all shapes and sizes and shows us that the trend is moving away from decorations that are purely for the holidays. 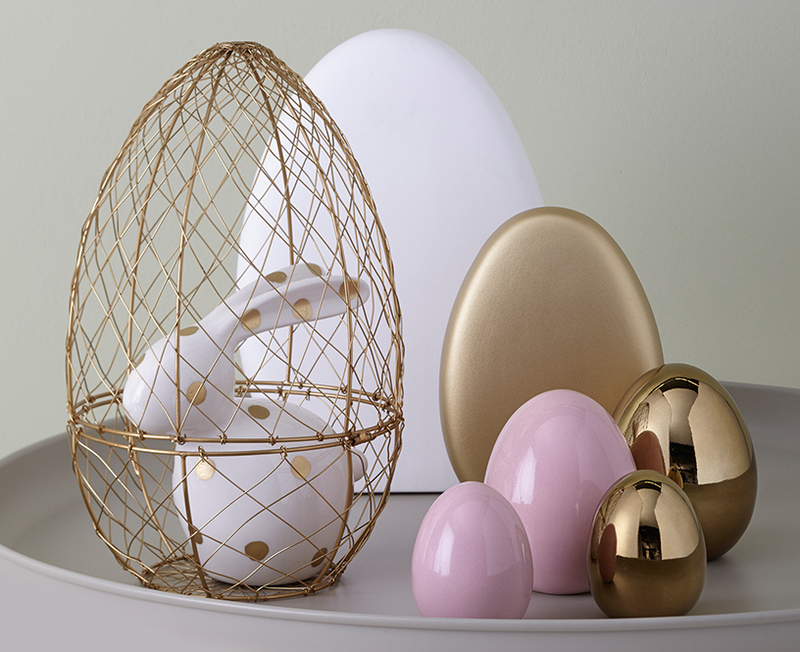 Stylish home accessories should delight the viewer for several weeks, for instance these colourfully painted Easter eggs. “Excess and kitsch were yesterday,” explains Helmut Schäfer who sells handpicked products from small manufacturers. “Clear, restrained and plain designs now dominate.” Easter decorations are growing up and learning how to survive the spring. This is shown by the decorations from Leonardo, which skilfully combine all the key trends of the season from colour to shape. The combination of lustrous and matt surfaces is particularly attractive. It would be such a shame if these eyecatchers only came out on one weekend during the year, wouldn’t it? The guiding principle for decorations is: ‘Every day a celebration’. Springtime designs are often playful – but a practical use is also welcome. For instance, the humidifier from I2M is a particularly smart and useful gadget. The long-eared Doctor Rabbit model not only looks really cute, it also enhances the room atmosphere. His colleague from Philippi on the other hand pops up as a handy door stopper. These rabbit-shaped helpers are practical additions to any household. Having woken from its winter sleep, nature delivers a wealth of super materials to make decorations into genuine one-off items and to lend your home a certain sense of style. Between the glass sheets of the purist picture frame from Nordal, you can press flowers, blossoms or feathers as well as snapshots, which further enhances this enticingly pretty product. An example of a decoration idea that thinks outside the box. 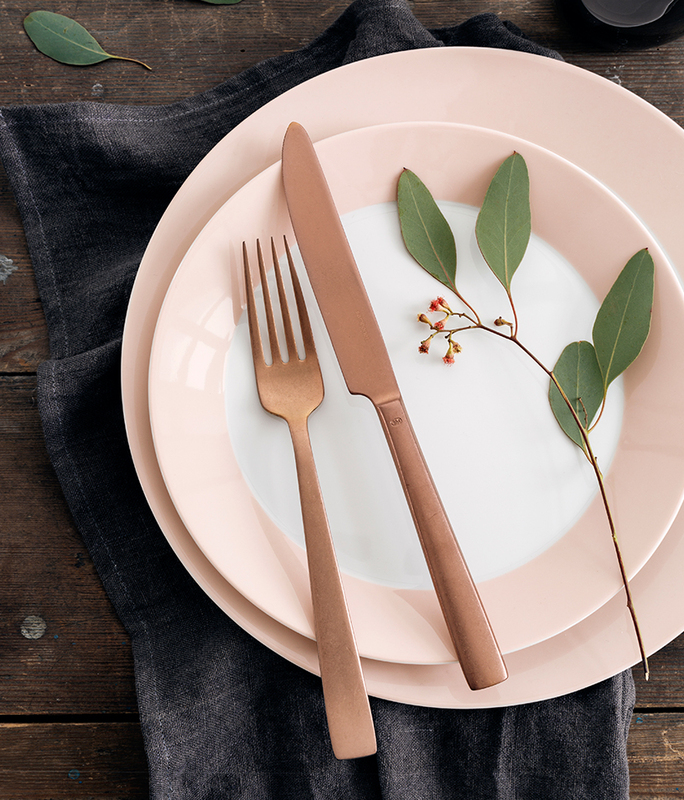 Feathers have become a fixed part of every spring decoration collection, whether as a motif on the eggcup from Bloomingville, or as a decorative element on the magnet from Räder. Make sure you keep your eyes open when going for a stroll in the sun or in the garden. Although we enjoy the regeneration we see in nature in springtime, things are little bit more restrained when it comes to floral decorations in the home. 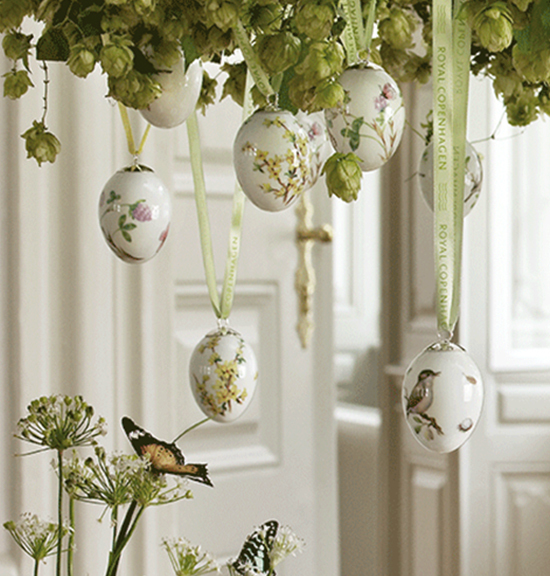 Flower arrangements this year are again understated and delicate as can be seen in the Easter eggs from Royal Copenhagen. There has been a move away from luxuriant bouquets to individual twigs, blossoms and stems, artistically but unostentatiously arranged as in ‘ikebana’, the Japanese art of flower arranging. Floral understatement is in. And this restrained style of floral decoration harmonises outstandingly well with the similarly understated decorations and home accessories of this spring. 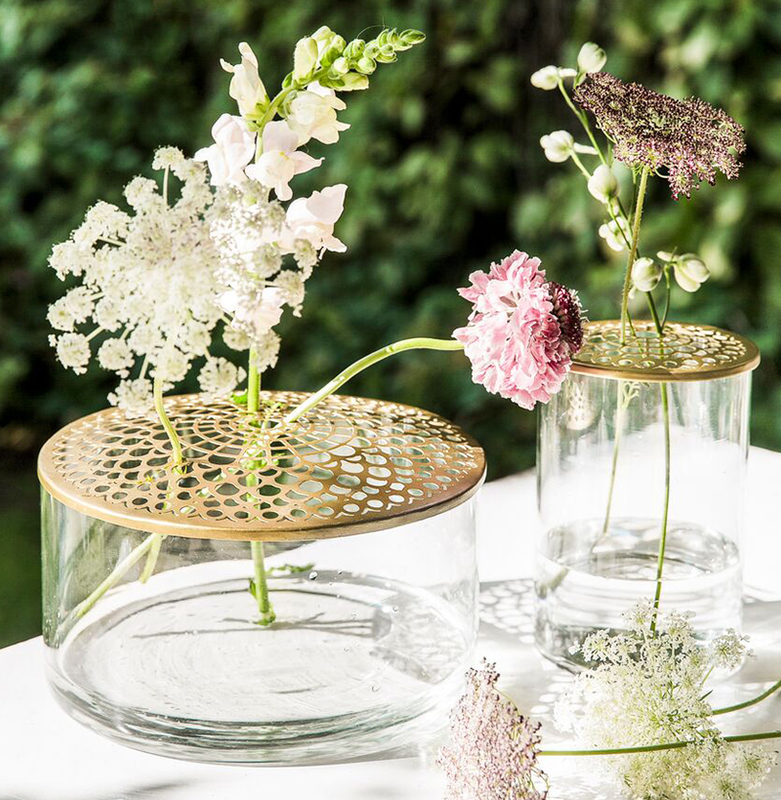 Danish interior brand ‘A Simple Mess’ has designed a vase which, thanks to its brass lid with numerous openings, allows individual stems and stalks to be arranged with consummate ease. The simple mess that is created makes a big impression.